The Finn’s solid start to his new partnership with Alfa Romeo continued under the lights in the desert. Raikkonen qualified P8 for the Bahrain Grand Prix before racing to seventh place on Sunday night. It was his second points-haul with Alfa Romeo as the 2007 World Champion showed that their pre-season form was not a fluke. However, it wasn’t an easy evening for Raikkonen, who like many struggled the wind and the Pirelli tyres. Asked if it was a ‘fun’ race, he told the official F1 website: “Most parts I would say. “In the middle it was a very difficult moment as the car was so bad, not really the car but the conditions with the wind and tyres. “They were working absolutely fine on the second part of the lap but when we had a tail wind into 6, 7, 8, 10 it was very difficult. “So that was a little bit difficult and then we swapped to the last set of tyres and the car was very good. “I was fuel saving at the beginning and we still caught up with the others. “A little bit of a shame we didn’t get the one place off McLaren. 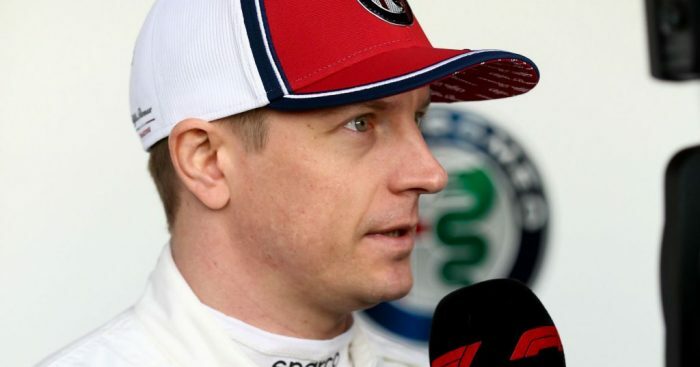 Raikkonen is currently sixth in the championship with 10 points on the board.